Do people save dogs, or is it the other way around? That was the question posed to the audience after a performance of the dog-centric comedy "Sylvia" on Broadway. The show's principal star, Matthew Broderick, was joined onstage by two dog experts: Rachel McPherson, founder and executive director of the New York-based Good Dog Foundation, which has 1,000 trained therapy dogs, and Dr. Laurie Santos, director of Yale University's Comparative Cognition Laboratory. Yes, they are studying doggy thinking at Yale. "How many of you stuck around tonight because you have a canine at home?" Santos asked the audience. "How many of you find yourself wondering: 'What's going on inside his or her head? Do they love me? Do they care about me?'" The audience laughed a little self-consciously. Good news, the professor reported: Our dogs do love us. In fact, when they look into our eyes, they are bathed in as much love as we are. "Scientists have learned that part of the bonding that allows us to bond with a dog is the same thing that helps us bond with our babies," Santos said. Babies are filled with what's colloquially called the "love hormone" or "cuddle hormone." It floods their brain, and as we look at them, it floods our brains, too. When researchers examined dogs' urine after gazing into their owners' eyes, they found the love hormone in it, too. Studies of wolf urine did not show the same thing. Somehow dogs evolved to transmit and receive the same love signals as human babies — and beguile us the same way. This bond is so intense that The Good Dog Foundation harnesses it to help people who are lonely, scared or hurting. "We work with lots of patients in hospitals, rehab units, nursing homes," said McPherson, who has run the volunteer dog program for 18 years. One time, early on, she and her dog were helping a man who'd been paralyzed on his right side by a stroke. "He could not get his body to move," she recalled. But when her dog jumped into his lap, the man would desperately try to throw the ball. This was back before the rehab unit was completely thrilled with the idea of having a dog around. But as the patient began to get his movement back, said McPherson, "the doctor was amazed at the results." He became a big supporter of The Good Dog Foundation. Schools are signing up, too, to help students with everything from autism to dyslexia. "We work with the kids one-on-one because they become so stressed out in the classroom that they can't read," said McPherson. "But then they read to the dogs, and it's amazing. They feel very comfortable. And what's phenomenal is that when the dog and the child are in a space, reading, the child becomes 'cool' to the other kids. They say, 'Can we go read to the dog?' So what was a negative becomes a positive, and the kid's reading really does improve." A recent study at Mount Sinai Beth Israel hospital in New York scientifically proved another benefit to human-dog interaction: chemo compliance. The study involved 42 patients undergoing six weeks of chemotherapy and radiation for head and neck cancers. The protocol is grueling. Many of the patients get very sick and can't eat. Some have trouble talking. But over the course of their treatment, with a loving dog at their side, their feelings of emotional and social well-being actually increased. Wrote one patient, "I would've stopped the treatment, but I wanted to come see the dog." Dogs need humans; humans need dogs. Call it a tail as old as time. 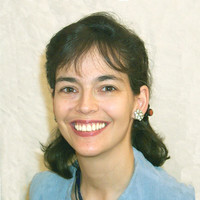 Lenore Skenazy is author of the book and blog "Free-Range Kids" and a keynote speaker at conferences, companies and schools. Her TV show, "World's Worst Mom," airs on Discovery Life Channel. To find out more about Lenore Skenazy ([email protected]) and read features by other Creators Syndicate writers and cartoonists, visit the Creators Syndicate Web page at www.creators.com.